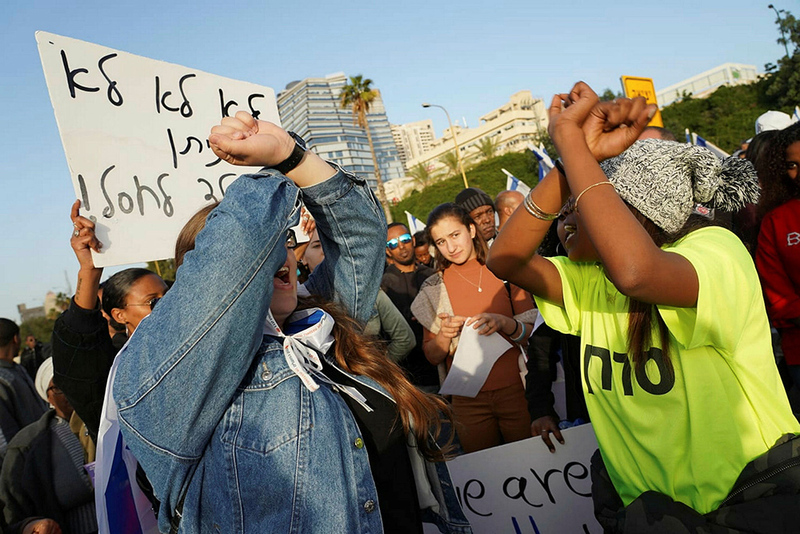 Thousands of Israeli-Ethiopians on Wednesday demonstrated and blocked main routes in southern Tel Aviv in protest of what they claim are the police’s excessive and violent actions against the community’s members. The protest was sparked by the death of Yehuda Biagada earlier this month. Biagada, an Israeli-Ethiopian, was shot and killed by police. The incident began after Biagada left his home in Bat Yam armed with a knife and after acting violently at home. His mother alerted the police, and they tracked him down and confronted him. The police say he charged at them with a knife and feeling their lives were in danger, shot him. His family claims he was wrongfully shot. They say that Yehuda was not mentally stable and was experiencing difficulties since his early discharge from the IDF, and that the police did not act according to its procedures and did not fire warning shots before shooting to kill. They also leveled charges of racism against the responding officers, saying that if Yehuda had been white the police would have reacted differently. The protestors carried signs accusing the police of murder and with slogans against discrimination. The demonstration, which began in full coordination with police and which was peacefully throughout its duration, turned violent later on in the evening, with protesters throwing rocks, bottles and other objects at police clad in full riot gear and others committed acts of vandalism. The police stated that while the majority of the demonstrators dispersed, a small number of demonstrators caused damage to shops and property. Police units in the area responded to the disturbances while at the same time speaking to the leaders of the Ethiopian community to calm the situation, the police said. Police arrested 11 suspects involved in the disturbances, and six police officers were lightly injured. This latest clash between the Israeli-Ethiopian community and the police comes on the backdrop of already negative relations between the two. The relations have been tense in recent years following several incidents in which the Israeli-Ethiopian community claimed that the police’s actions were motivated by racism. 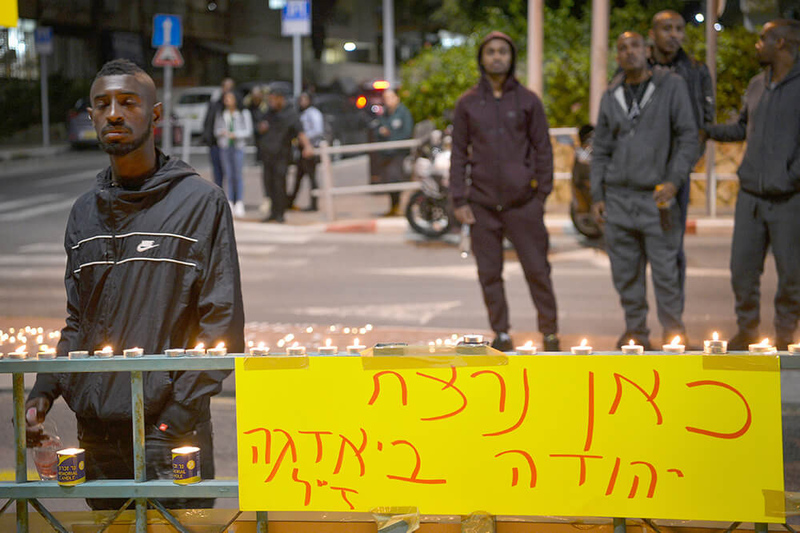 Maharata Baruch-Ron, Tel Aviv-Yafo’s Deputy Mayor and a member of the Israeli-Ethiopian community, told TPS that the demonstration was an expression of pain and a demand for security and equality. She said that the Biagada incident sparked the demonstrations, but was not a singular event, while conveying a sense of fear from the police. “We feel that instead of the police protecting us, we need to protect ourselves from the police,” she said. Asked if she thought that the Biagada incident would have ended differently if he was white, she said that it is safe to assume so. She added that the community’s pain also stems from the police’s handling of the incident, which was “insulting and frustrating.” Instead of apologizing and launching an inquiry to the incident, she said the shooting cop was back on the job the next day, conveying the general sense that the police did not care about the Biagada family or the Israeli-Ethiopian community. This, in turn, generates a sense of deep distrust in the police, she explained. Commenting on the demonstration itself, she said that its message was meant primarily for the policy-makers, Prime Minister Benjamin Netanyahu and Minister of Internal Security Gilad Erdan. The message was – listen to our cry and fix what is needed to be fixed. As for the public, she believes that it heard their message and it now understands that the Israeli-Ethiopian community is “contending with phenomena which only it experiences,” as she put it. She believes the demonstration’s message was well received by the Israeli public, which she described as a decent one which seeks equality for all. Relating to the acts of violence seen at the demonstration, she accused the police of “adding insult to injury” by preparing for a seemingly violet incident, and by doing so portrayed the community as a violent one. The police’s “excessive preparations” exacerbated the tensions and only generated more problems, she charged. While claiming that it would enable the demonstrations, the police’s conduct proves otherwise, she said. She conceded that “only a few” demonstrators acted violently, but the police did not exhibit restraint, as it said it would. She further alleged that anarchists may have exploited the demonstration to act violently, and it was not proper to taint an entire community with the actions of the few. In conclusion, she said the Israeli-Ethiopian community proved that it could express its voice publicly in a respectful manner while abiding by the law.